My Name is Chien: I am a March #selfieMNL beauty! I am a March #selfieMNL beauty! I rarely win on anything but this time I am a March #selfieMNL beauty winner! Here is how you can win as well! They have this promo every month and your submitted selfie will roll over for next month if you don't win the first time you send it. Good luck! 1) Post a selfie of your #FOTD (that’s “face of the day,” FYI) on Instagram. You can go as natural or experimental as you want with your beauty look—hair included! 2) Add the hashtag #selfieMNL, then tag@beautymnl and @rosannaaranaz (on the photo, and not just the caption). 3) At the end of every month, starting this April, Rosanna will choose the 10 best selfies in the bunch and feature them on her BeautyMNL column. 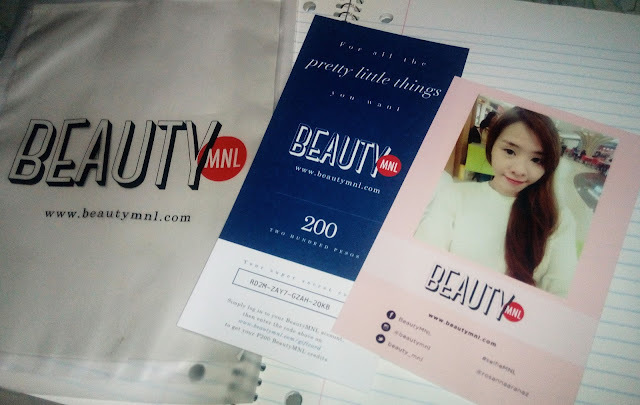 4) The 10 winning beauties get a printed polaroid of their selfie courtesy of Printster, plus a BeautyMNL Gift Card worth P200, delivered straight to their doorsteps! Now isn’t that awesome? Thoughts: I want to try a dusty rose lip color for MLBB, is NYX Tea Rose the one?